Property for sale in Timi Cyprus within minutes from beach. • 122 sq. m., 3 bath, 3 bdrm 2 story – €180,000 EUR. Title Deeds – Reduced! 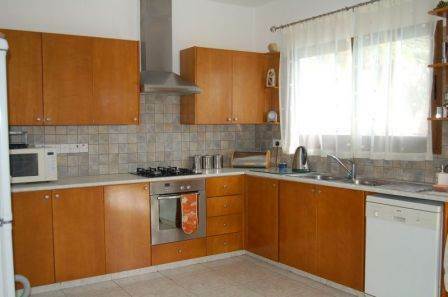 Timi, Paphos – This home is in a great location close to Paphos airport. The open plan living room, dining room and large kitchen area with lots of work space and lovely countertops are a great place to relax and enjoy life. Outside there is a 8×4 private pool with landscaped mature gardens surrounding the home that include orange, lemon, pomegranite and palm trees that are taken care of by an automatic irrigation system. There is additional storage space in a large workshop outside this property for sale in Timi. Ideal for a holiday home or permanent residence. On behalf of my girlfriend and I we would be pleased if you could forward this 2 storey (180,000) property at Timis and others in a similar price range.We are also interested in the Larnaca area, mainly due to my ex financial director being in residence there.